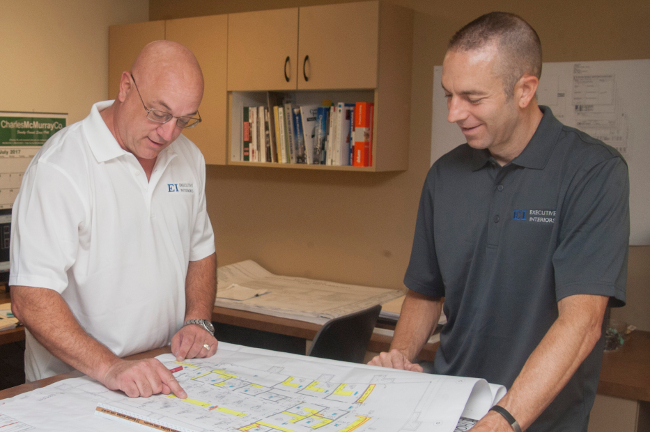 When Executive Interiors was established in 2007, it was with a passion to become a leading commercial casework company by consistently providing the highest quality fixtures and creating a culture of honesty, pride, teamwork, and a commitment to excellence. The mission of our employees is to create unsurpassed commercial fixtures for our customers with a focus on quality, integrity, and customer service throughout California and the Western States. Executive’s Core Values are: unquestionable integrity; continuous improvement of processes and performance; supreme craftsmanship; innovation; teamwork and cooperation; and respect for customers and employees. Our clientele includes Community Hospitals, St. Agnes, Fresno Chaffee Zoo, Facebook, Lighthouse for Children, Fresno Grizzlies, along with many others. The philosophy of Executive Interiors is that we are part of the community in which we do business. From this philosophy, we believe in giving back to our community. 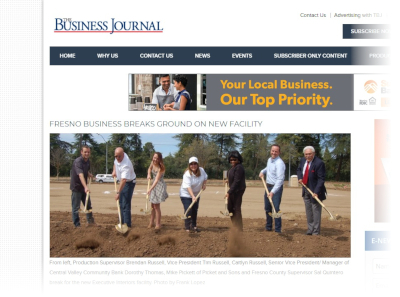 We have provided support to such organizations as Habitat for Humanity, Foster Youth, Fresno Grizzlies Community Fund, Alzheimer’s Association, local youth sports groups, and Valley Children’s Hospital. Tim and Jamie Russell believed in creating a different type of business that included an environment where employees and customers were valued and respected. When you associate with Executive Interiors you become part of our family, and we don’t take that relationship for granted.